polka & bloom: Exciting changes in the Polka & Bloom shop! Exciting changes in the Polka & Bloom shop! Hello! Good news! 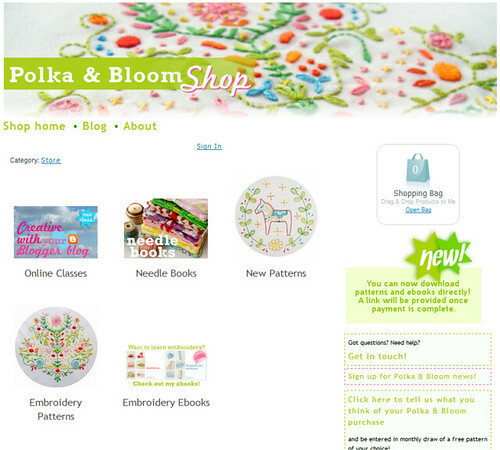 The Polka & Bloom shop has had a little makeover - I hope you like it! That's not the only new thing: now you can download your pattern and ebook purchases once payment has gone through. No more waiting for me to send your purchases: instant shopping gratification, yay! You can also enter yourself in the draw for a free pattern each month by filling in the feedback form about your purchases. You can access the page from the shop page or click this link.